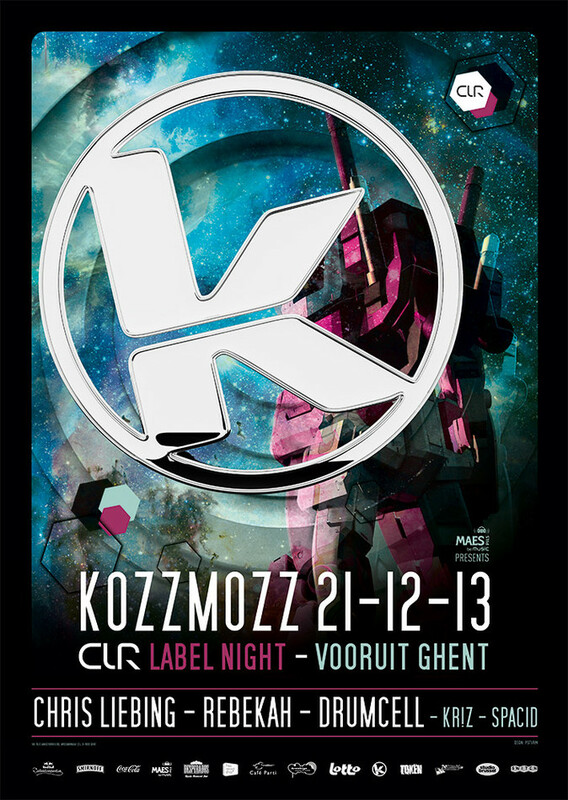 After our spectacular 18th anniversary, Kozzmozz is now proud to announce one of the biggest techno labels of the last decade with an exclusive CLR label night! Chris Liebing’s record label CLR stands for “Create - Learn – Realize”. This reflects the change in concept and direction that comes with age and experience and represents what techno means to Chris: constantly evolving and creating. As this is also the philosophy of Kozzmozz, we couldn’t think of a better collaboration! Chris has been named “best national dj”, “best remixer” and “best producer” on a regular basis, and he still is regarded on top of his game. The first decade of the new millennium ended with the 10th anniversary of CLR followed by the ’10 Years CLR compilation’ containing 10 exclusive tracks from some of the finest techno producers of our time. Chris also launched the über popular CLR podcasts which are still released every Monday and get up to 200.000 listeners! At this moment Chris Liebing´s dj schedule, as well as CLR´s event and release schedule are busier than ever. They were topped off with a spectacular show-case at Amsterdam Dance Event, coinciding with the 14th anniversary of the label! In June 2012 Chris Liebing invited Rebekah to record a mix for the infamous CLR Podcast series, cementing her position as a highly promising artist within the techno world. After recently joining the CLR artist booking agency, she will soon release one of her tracks on a forthcoming Various Artists EP on CLR as an introduction to the label. Her previous tracks on labels as Cult Figures, Naked Lunch, Coincidence, 8 Sided Dice and Stolen Moments are played by all the biggest techno stars from Richie Hawtin, Adam Beyer, Perc to ... Chris Liebing, obviously. The CLR artists will be joined by our own stars. Kr!z who just released Phase’s debut album on Token Records and is taking the Token sound around the world with label-nights. Also he was asked to do one of those famous CLR podcasts for Chris. And Spacid will also load up his favorite techno tunes again. As usual he will warm you up with a set that brings you in the mood straight away, in his special hypnotic way! A special team of CLR VJ’s will adapt the visual stimulation perfectly to the sounds of their artists so expect yet another dimension to this great techno experience!